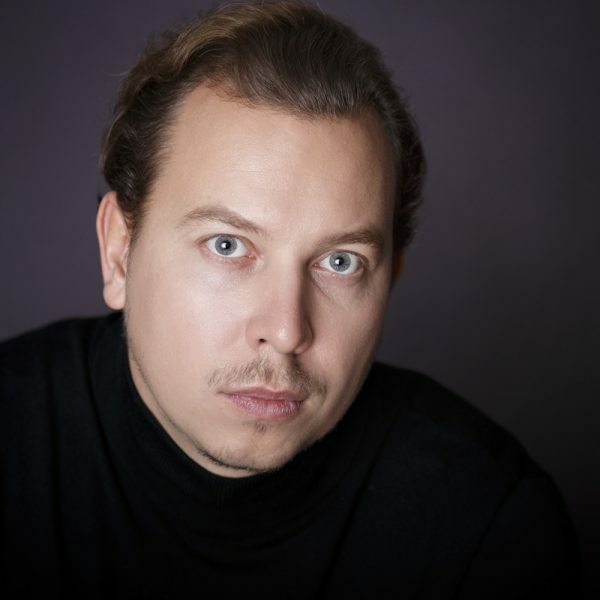 Russian Baritone Alexey Bogdanchikov is a member of the ensemble and a leading soloist at the Staatsoper Hamburg, where he has made his debut as Rodrigue in the French version of Verdi's Don Carlo in September 2015. Other roles in Hamburg include the title role in Eugene Onegin, Il Conte in Le Nozze di Figaro, Enrico in Lucia di Lammermoor, Belcore in L’elisir d'amore, Figaro in Il barbiere di Siviglia, Yeletski in Pique Dame, Valentin in Faust, Sharpless in Madama Butterfly and Frank/Fritz in Die tote Stadt. Since 2014 Alexey Bogdanchikov is also a member of the ensemble at Moscow’s Novaya Opera where he is appearing in his signature roles Onegin, Conte, Figaro, Enrico, Valentin and Yeletski. Italian opera houses play an important role in Alexey's career. He made his debut at the Teatro Comunale di Bologna as Wolfram in Tannhäuser in 2011 and, in the same year, performed the main role of Barrett in Marco Tutino's opera The Servant at the Lugo Opera Festival. In 2014 he returned to Italy to sing Paolo Albiani in Simone Boccanegra in Piacenza and in Modena next to Leo Nucci and Carlo Colombara, and Belcore in Ancona, as well as Morales in Carmen at the Teatro dell’ Opera, Rome. In August 2017 Alexey sang his first Giorgio Germont in Verdi's La Traviata under Jan Latham-Koenig at the Puccini Opera Festival in Torre del Lago. He collaborated with conductors such as Kent Nagano, Daniel Oren, Renato Palumbo, Jesus Lopez-Cobos, Pier Giorgio Morandi, Stefano Ranzani, Donald Runnicles, Emmanuel Villaume, Jan Latham-Koenig, Jader Bigniamini and Johannes Fritzsch. Alexey Bogdanchikov is an alumnus of Moscow’s Tchaikovsky State Conservatory and Galina Vishnevskaya Opera Center, and has won prizes in several international vocal competitions such as the Armel Opera Festival and Competition 2010 (Szeged, Hungary), Debut 2012 (Weikersheim, Germany) and Neue Stimmen, 2013 (Gütersloh, Germany). In 2013 he represented Russia at the BBC Cardiff Singer of the World Competition. In the 2011/12 season Alexey Bogdanchikov joined the International Young Artist’s Program of the Deutsche Oper Berlin. In April 2017 the Staatsoper Hamburg awarded Alexey Bogdanchikov the Dr. Wilhelm Oberdörffer Prize - a special award for the best singer of the ensemble of the year. Oh, Carlo, ascolta. . . Io morro'. . Son io, mio Carlo. . . Per me giunto. . .